I’ve owned and played Hammonds since 1968, the first one with my band Scarlet Sound. Previous to that I had various organs including a Farfisa. 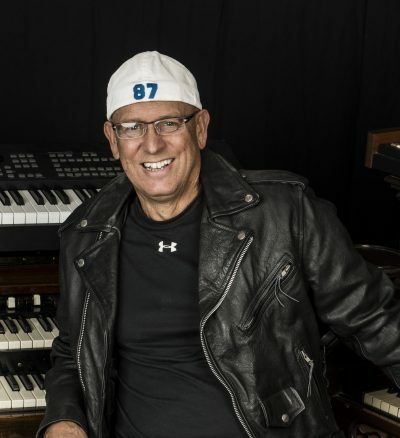 Most of the Band’s I played with were R&B or Radio Rock, which the Hammond B3 was key to our success. In Iced Melon, a Soul band, I was a sometime lead singer and keyboardist, followed by Souled Out Band where I continued in that role. Souled Out opened for major acts such as AWB, Clarence Carter, Hall and Oates, Michael McDonald, and Tower of Power. I have remained good friends with members of TOP to this day. After Souled Out, I played in a twelve piece horn band and was a hired Gun for keyboard gigs which included many touring bands passing thru the D.C. area. Added to the B3 over the years I’ve purchased a XK3, a Bob Schleicher B3 chop and now own a Hammond SK2. Currently I’m in a local band the SideMen, but still manage to play with former Allman keyboardist, Johnny Neel and guitar virtuoso Billy Thompson, and the occasional gig with the Beach Boys. The Hammond has always been my main axe and will continue to be.